When browsing through pressure measurement products you will notice that some of the products are called pressure transducers and others are called pressure transmitters. A pressure transducer is any device that fundamentally converts an applied pressure into an electrical signal. There have been many different types of pressure transducer developed over the years such as bonded foil, thick film, thin film, variable capacitance,LVDT & semiconductor strain gauge to name just a few. All of these sensing technologies are used to convert a pressure into a measurable electrical signal. 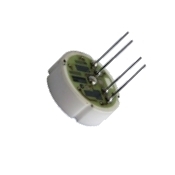 Since the transducer core signal varies significantly from one device to another it is often necessary to add some electronic compensation to trim the zero & span offsets and reduce thermal sensitivity over the operating temperature range. Some pressure transducers are manufactured without any compensation circuitry which are called pressure transducer capsules, modules or headers, which are used by instrument manufacturers who utilise their own electronics to compensate the pressure transducer. Due to the weak signal generated by the pressure transducer, it is only used over relatively short distances, such as inside a test laboratory or inside some instrumentation. When you want to run the electrical output signal over greater distances, some additional electronics is required to boost the signal. This is when it is necessary to add an amplifier to a pressure transducer to transmit the signal. 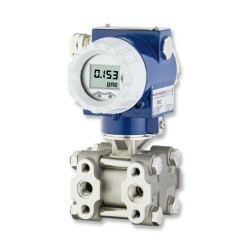 A pressure transducer which is combined with an output signal amplifier is called a pressure transmitter. Despite the distinguishing technical differences between a pressure transducer and a pressure transmitter, both have become synonymous with describing any type of pressure sensor, and are often interchanged by different manufacturers. So from a marketing and product naming point of view there is no common distinction between the two types of pressure sensor.